Dark Angel Black and grey from reference. 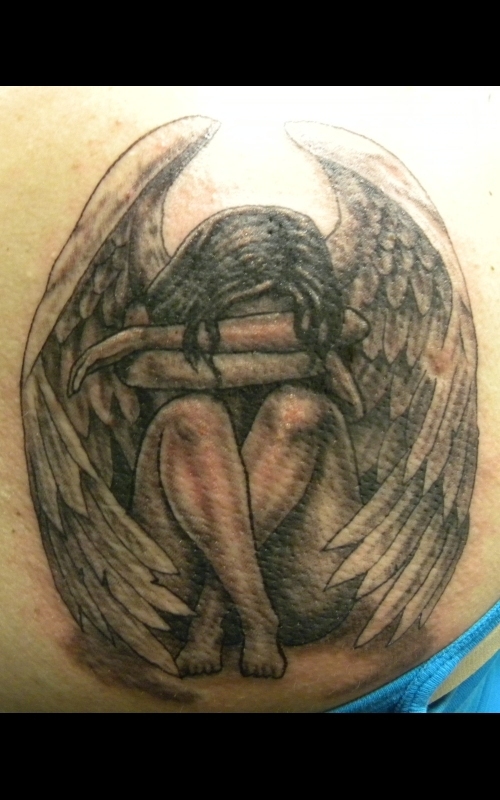 Dark Angel healed Black and grey angel tattoo from reference. 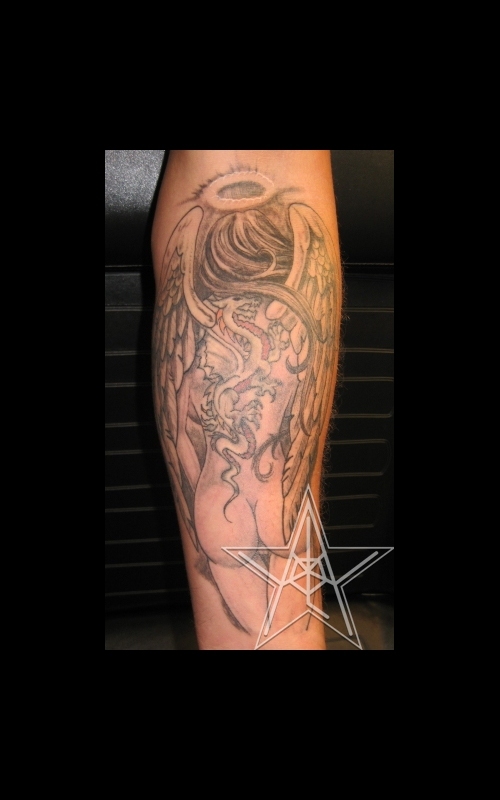 Thrown From Heaven Custom black and true grey angel vs devil tattoo. 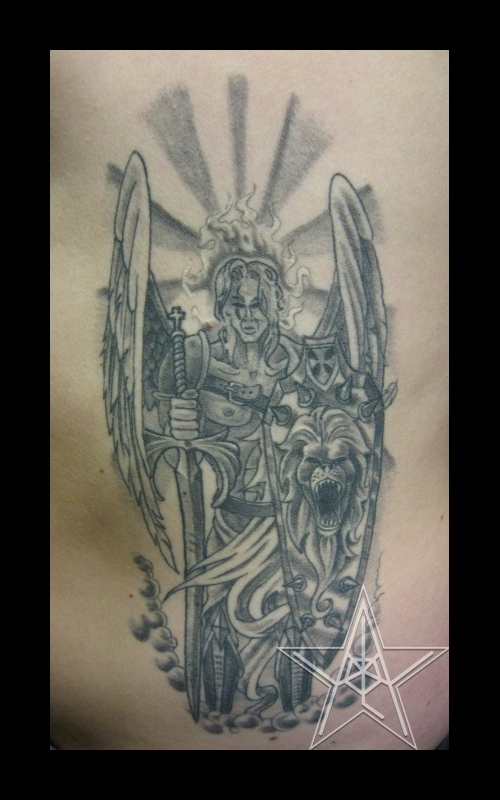 Arch Angel of the Lion Custom black and grey angel tattoo. 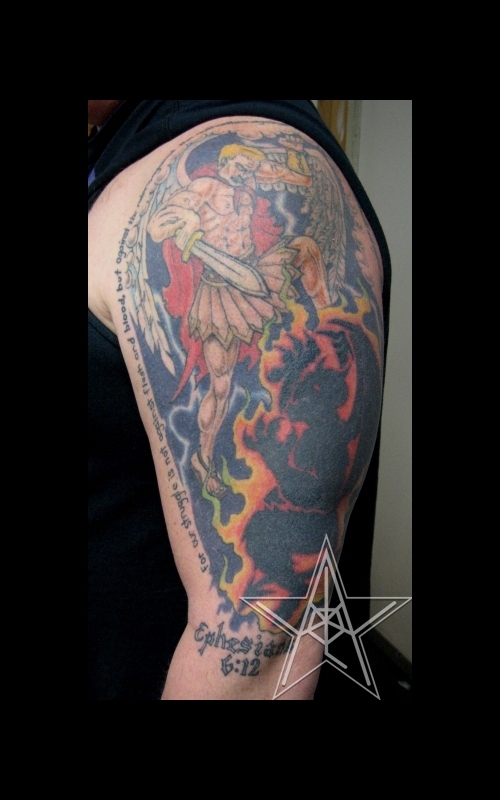 Protector Of My Children Custom color angel tattoo. 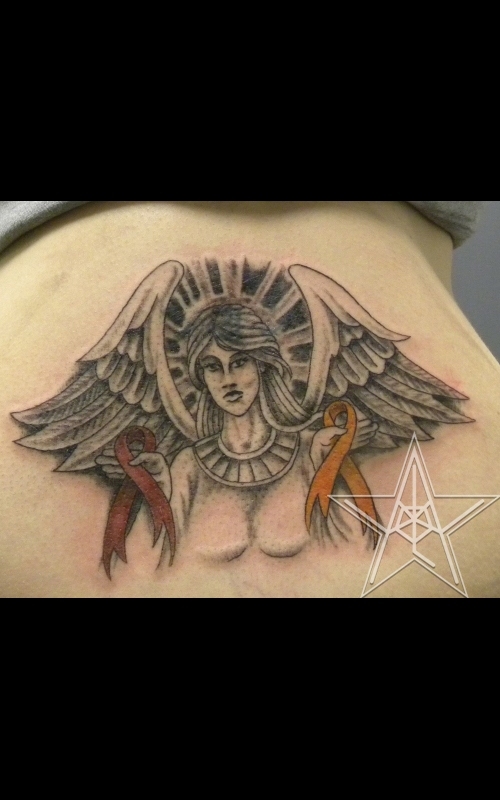 Protect Those With Cancer Custom angel cancer ribbon tattoo. 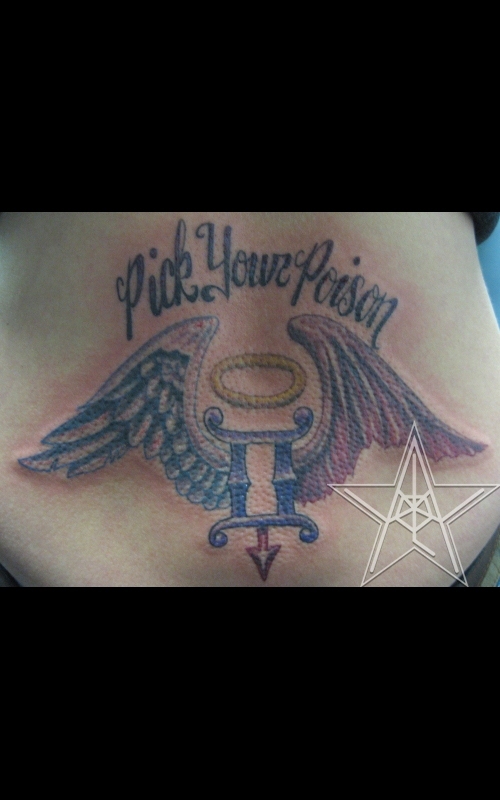 Pick Your Poison Custom color gemini angel vs devil tattoo. 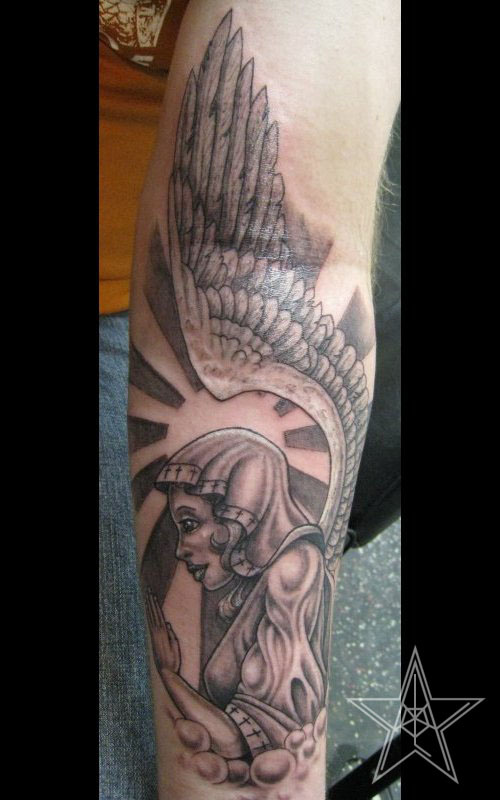 A Little Rest For the Good Black and grey angel tattoo from reference. 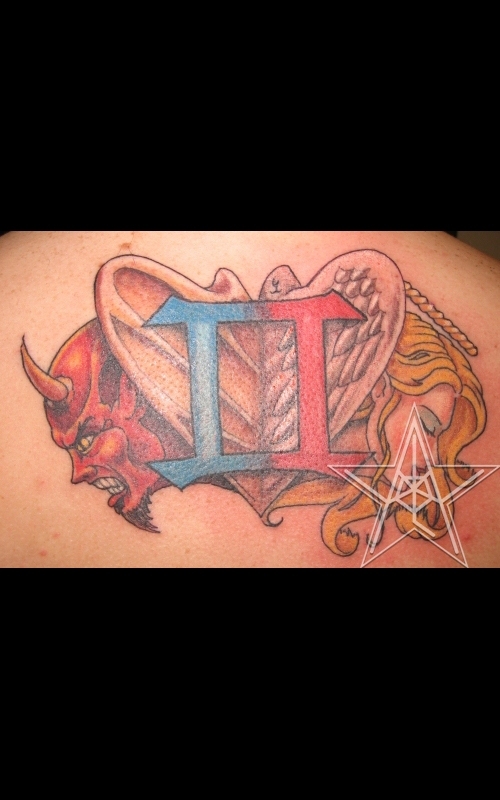 Split Decision Custom color gemini angel vs devil tattoo. 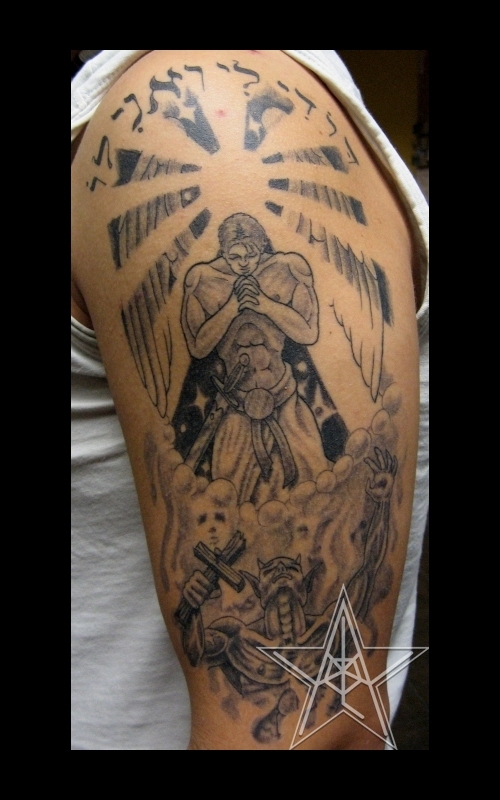 Forgiveness Custom black and grey angel vs devil tattoo. 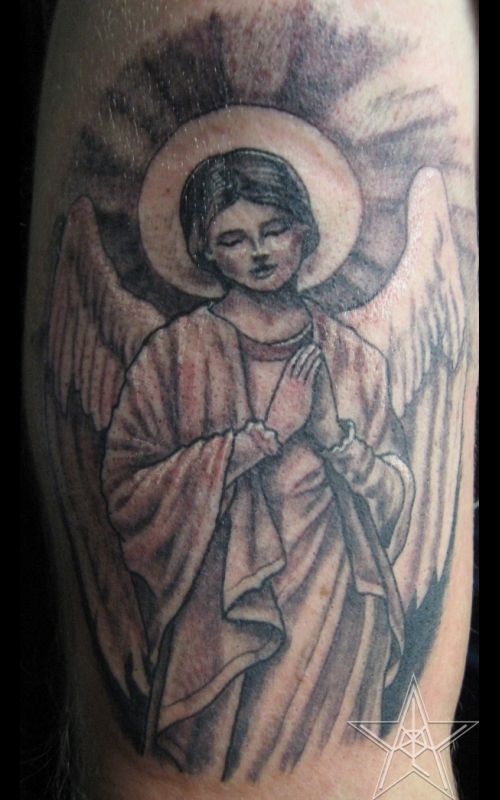 With the Angels Black and grey angel tattoo from reference. 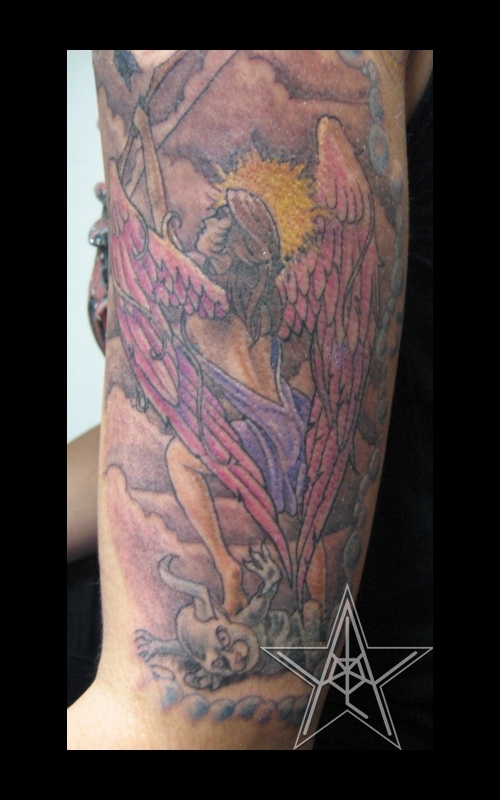 A Shot to the Heavens Custom color angel tattoo. 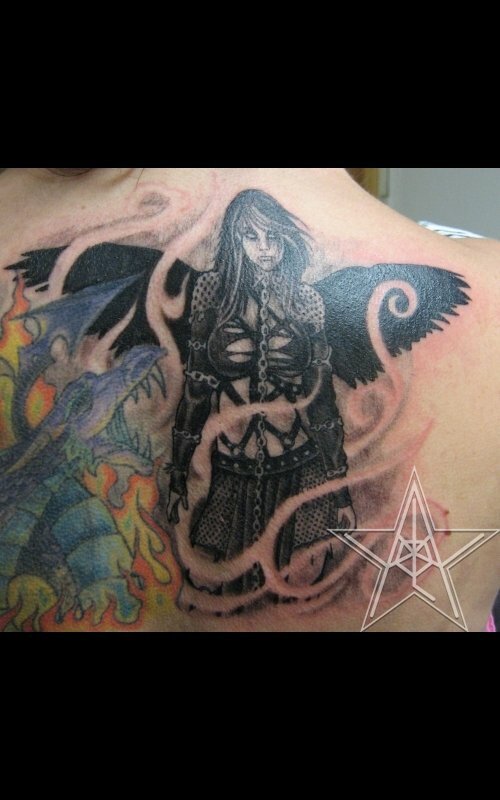 Wings Black and grey tattered wing tattoo. 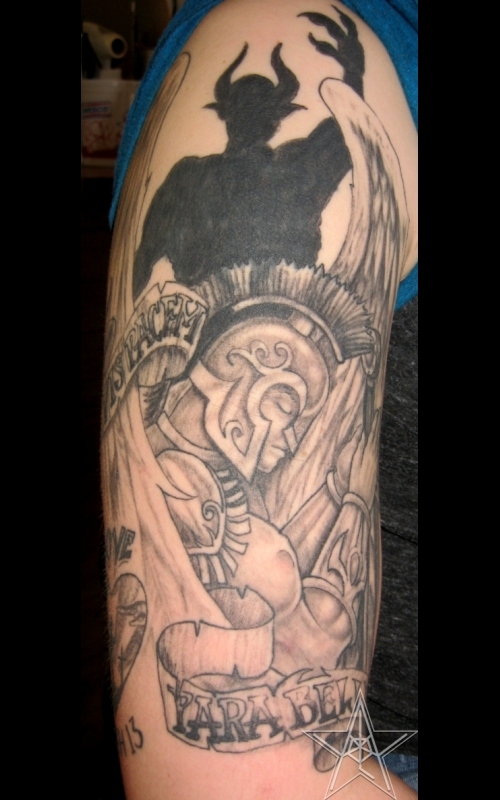 Remembering Ryan Custom black and grey in memory angel tattoo. 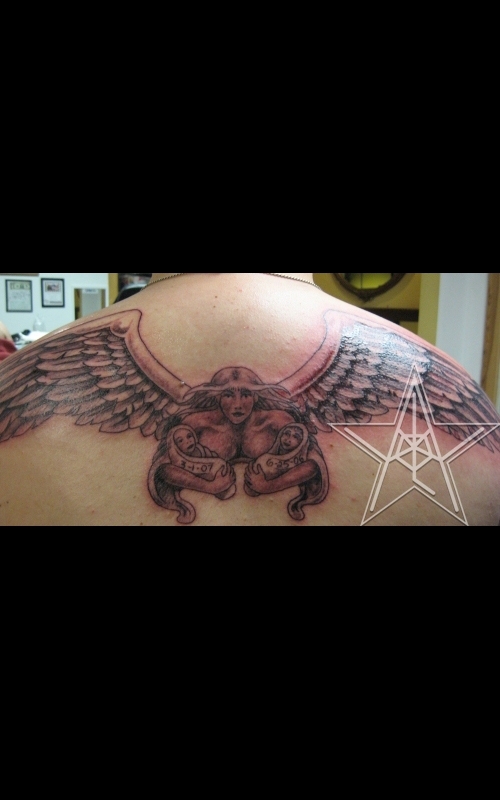 Carrying My Children Custom black and grey angel tattoo. 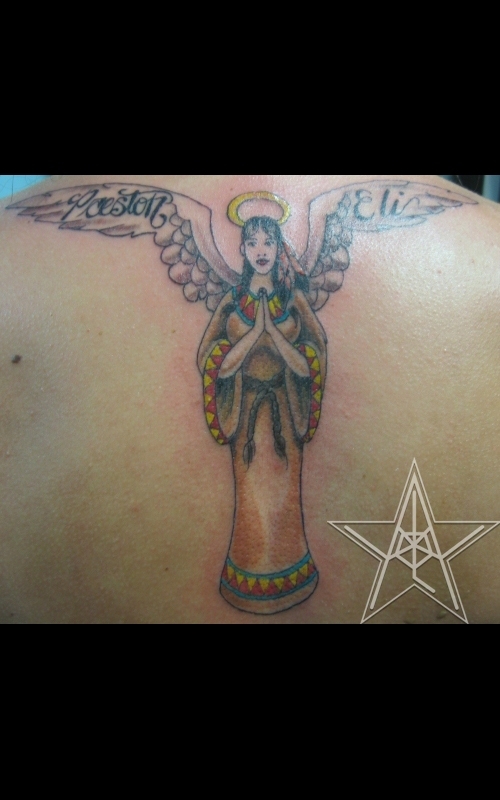 Native Angel Custom color Native American angel tattoo. 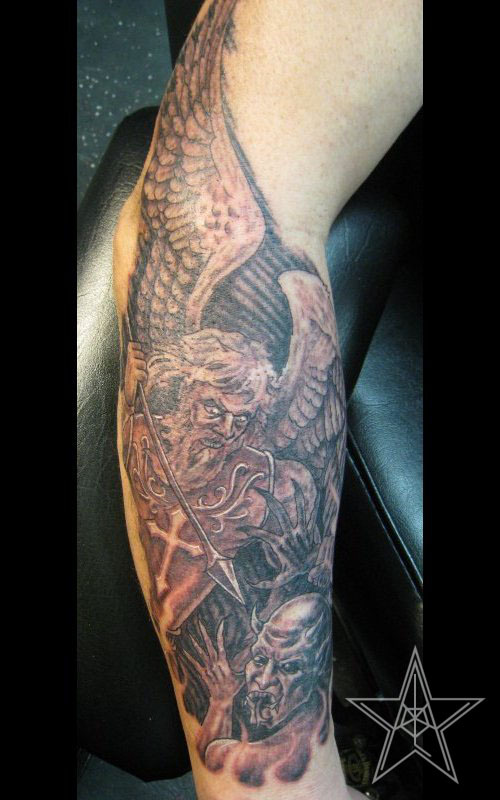 Si Vis Pacem Para Bellum Custom black and grey angel vs devil tattoo. 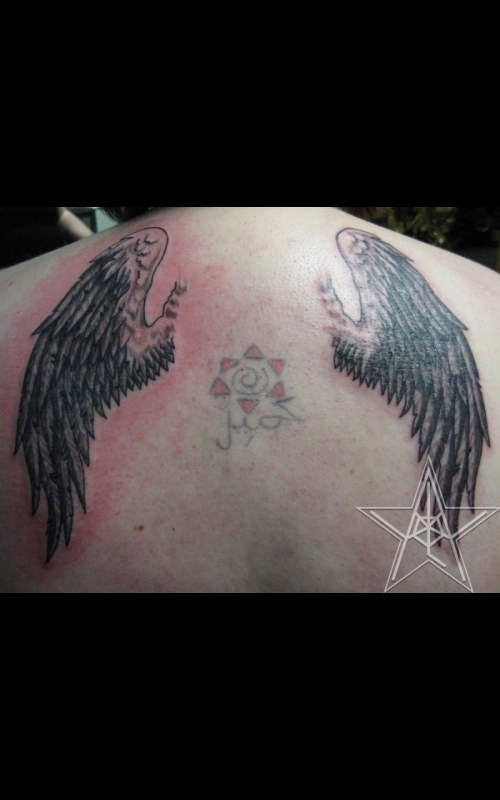 Following An Angel Custom black and grey angel tattoo. 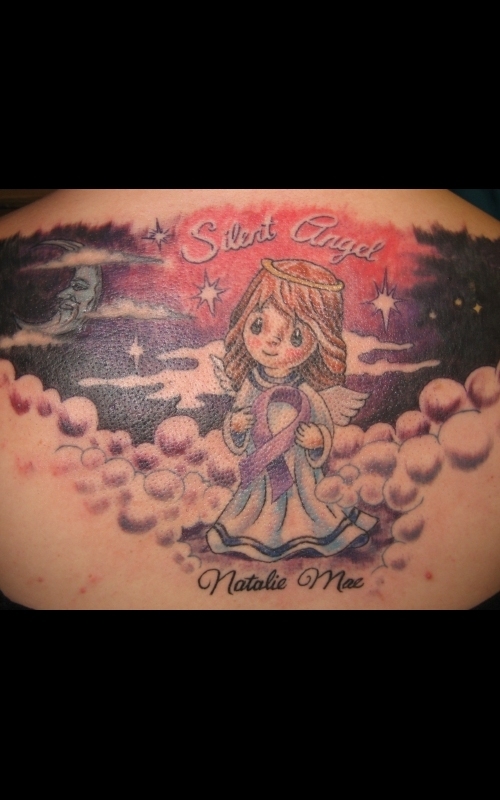 Silent Angel Custom color angel tattoo also incorporating reference. In the Air Color angel tattoo from reference. 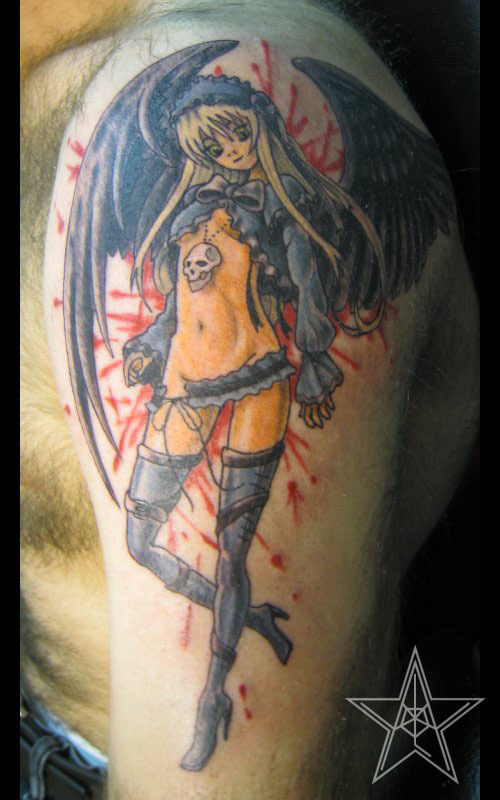 Anime Angel Dark angel in blood tattoo. 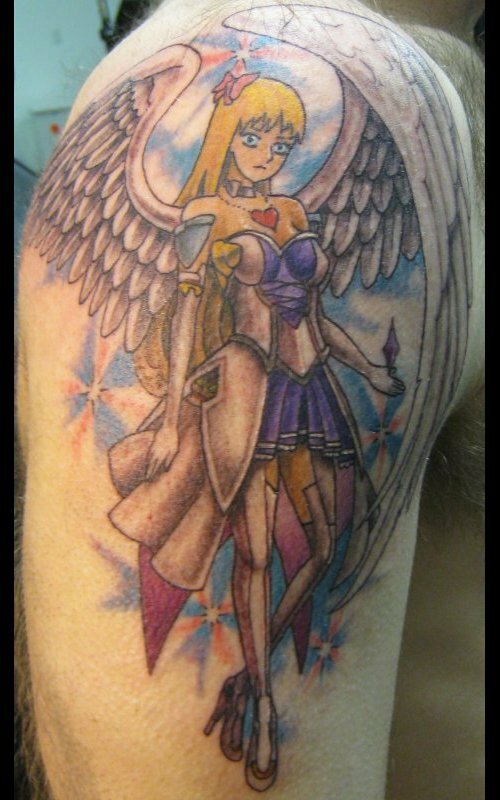 Anime Angel 02 Anime angel tattoo. 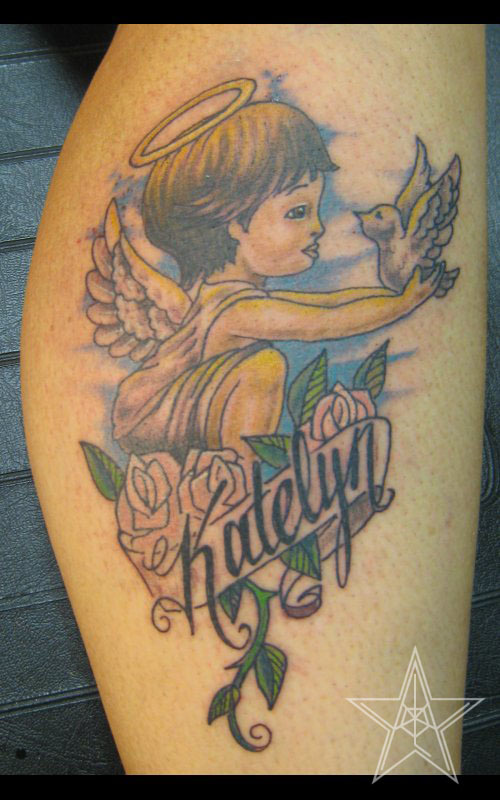 Best Friends Child angel holding dove tattoo. 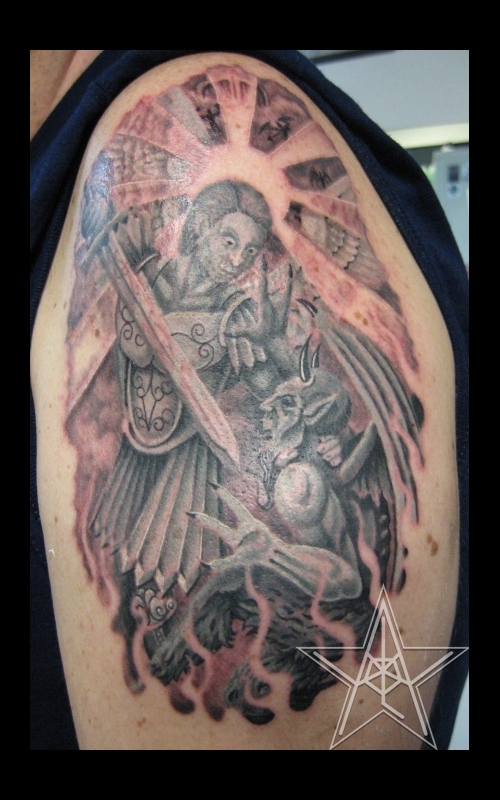 St Michael's Attack Angel fighting demon custom tattoo. 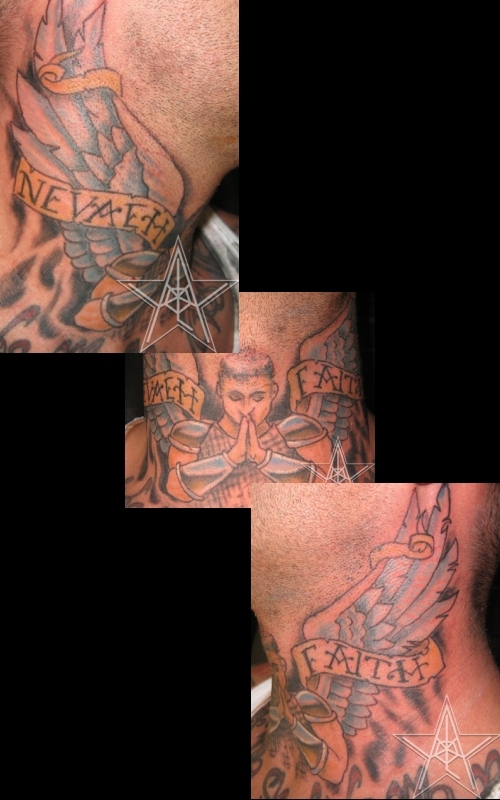 Divine Prayer Angel praying custom tattoo. 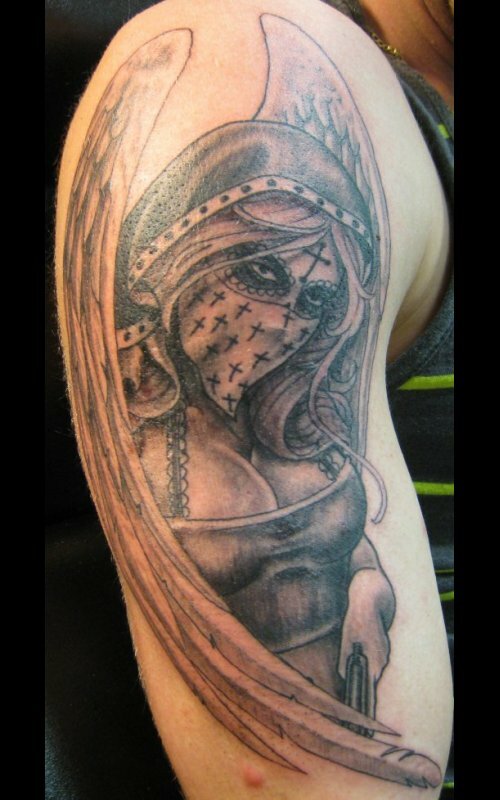 Gangster Dia de Los Muertos Mother Mary Angel Angel tattoo. Warrior Angel Blood stained angel. 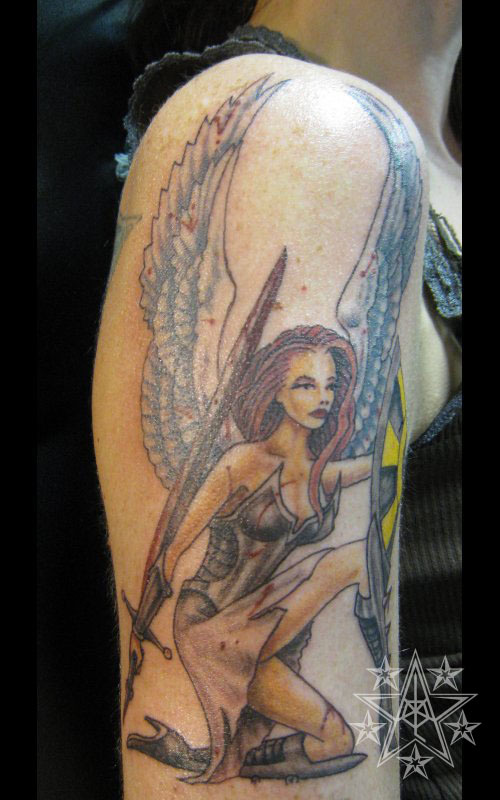 Angel tattoos by Ray Reasoner Jr.